IN 1978, Chelsea chairman Brian Mears, desperate to change the fortunes of his ailing club, started to court Miljan Miljanić the Yugoslav coach rated among the best in Europe. Miljanić sat in the Stamford Bridge stands, dark glasses shielding him from the autumn sun and watched a calamitous first-half display by Chelsea against Bolton Wanderers. For a man used to rubbing shoulders with Europe’s footballing elite – he had coached Real Madrid between 1974 and 1977 – the prospect of fighting relegation at a club that was clearly in decline was not enticing. Chelsea came back to win 4-3 and Miljanić told Mears, “With spirit like that, you can get out of trouble.” Miljanić had his escape route and within weeks, he was appointed manager of Yugoslavia’s national team. He was wrong about Chelsea, though, for they endured five years in the old Football League second division. The fact that Miljanić was Chelsea’s target was not just a publicity stunt – it was the second time in three years that a London club had been seduced by his methods. Arsenal, when they were looking to replace Bertie Mee, had toyed with the idea of installing him as coaching supremo at Highbury. English football was not quite ready for such a bold and forward-thinking hiring, but if he had joined either Arsenal or Chelsea, he might have had the sort of lasting impact that Arsene Wenger had two decades later. He made his name with Red Star Belgrade, a club that enjoyed a reputation in the cold war years of being one of the trickiest eastern European teams to play against, especially on their own turf. Red Star won the European Cup in 1991 amid the troubled region the Balkans became, but in the 1970s, under the charismatic Miljanić, they were more influential than many people realise. In some ways, Red Star were distant and cautious relatives of the Dutch/German Total Football axis. Given the politics of the time, they were never going to be as revered as the pseudo-hippy Dutch or the ruthlessly efficient Germans, but Yugoslavia was considered to be “user friendly” Communist – people “even” went on holiday there, stepping into the unknown with their Ambre Solaire, telling themselves it was a cut-price Italy. In 1970-71, football pundits, including the much revered Geoffrey Green from The Times, predicted a Red Star win in the European Cup, a victory that would have made them the first eastern bloc team to lift the trophy. The team had shown some quality in beating Hungarian champions Ujpest Dozsa 4-2 on aggregate, coming back from a 2-0 defeat in Budapest, UT Arad of Romania 6-1 and Carl Zeiss Jena of East Germany 6-4 on aggregate. In the semi-final, they were paired with Greek champions Panathinaikos, who were managed by none other than Ferenc Puskas. The media expected Red Star to reach the final, especially after a Stevan Ostojic hat-trick helped them to a 4-1 first-leg win. But in the second leg, Red Star capitulated and were beaten 3-0, allowing Panathinaikos to win on away goals. Most people agreed that Red Star versus Ajax would have been a far more interesting final than the emerging Dutchmen against the Greeks. 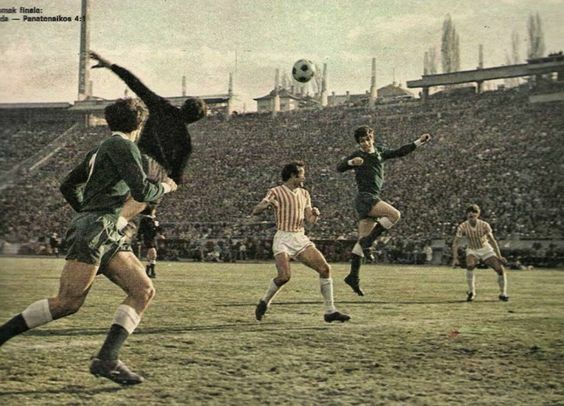 Generally, Red Star didn’t travel well away from home, but in Yugoslavia, they won the league title four times in six years between 1967-68 and 1972-73. They also lifted the Cup three times in that period. It was a two-legged tie with English champions Liverpool in 1973-74 that really woke people up to the technical brilliance of Yugoslavian players. The national team had always been seen as a team of “nearly men” that could challenge the more fancied nations like Germany, Italy and England. In 1968, they had reached the final of the European Championship, with England beaten 1-0 in the semi-final. 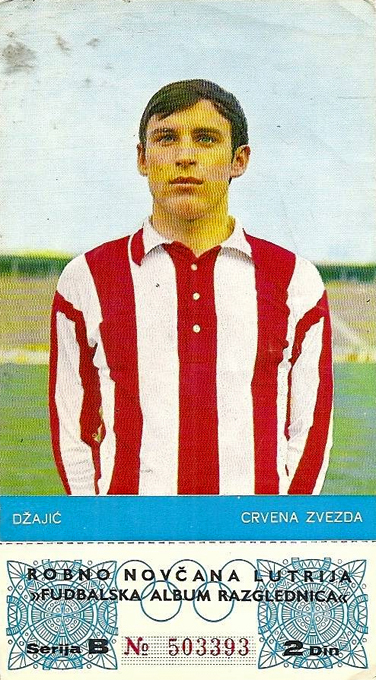 The players who knocked England out, Dragan Džajić, was a Red Star hero and finished third in the 1968 European Footballer of the Year voting. Even the likes of Pele enthused about Džajić: “He is a Balkan miracle, a real wizard. I’m just sorry he’s not Brazilian, because I have never witnessed such a natural footballer.” In 2013, he was named the greatest Yugoslav player of all time. Yugoslavia missed out on both the 1966 and 1970 World Cups, but they were in Germany in 1974 and hosted the 1976 Euros. Consistency was always their problem, but as far as raw skill and ability was concerned, Yugoslav players were among the best. Not for nothing were they nicknamed “the Brazilians of Europe”. Džajić didn’t play in the two games with Liverpool in the autumn of 1973, but Red Star were built around the pace and trickery that he brought to the team. Miljanić’s team relied on swift counter-attacking and precision passing. It was largely Serbian, but also included Montenegrins like Nikola Jovanovic, later of Manchester United, and Macedonians. 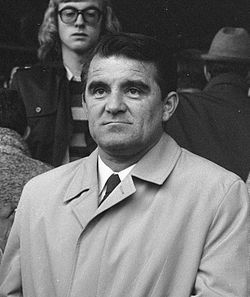 Miljanić was a big fan of Rinus Michels’ Ajax and the West German team of 1972. He bought into the “total” aspect of their ethos: “It is necessary that the player in possession of the ball finds himself as often as possible with a very rich choice of several solutions. This can be done only when a team’s players all take part in the attacking play and in defence.” He was also a scholar of English football, in particular the Tottenham “double” winning team of 1961. Following the 1966 World Cup, he spent quite a bit of time with Bill Nicholson, manager of Tottenham, to study the Spurs way. Miljanić’s approach was perhaps a little more defence-minded than the Dutch and Germans, but Red Star could produce devastating football when they stepped up a gear. Liverpool were beaten twice by 2-1 and Bill Shankly and his backroom staff were devastated. Red Star had been too “smart” for Liverpool. The 4-2 aggregate defeat prompted Liverpool to reassess the way they played in Europe. What followed was a more patient, passing style that might not have always entertained, but demonstrated a more continental, “game management” style that would shape Liverpool’s football for 15 years and raise the bar for English football. Red Star, after beating Shankly’s men, went out of the competition in the next round. But the games with Liverpool did bring Red Star’s players to the attention of other European clubs. Yugoslavia introduced a new market economy in the late 1960s and although the concept of buying and selling footballers was alien to a Communist bloc nation, players were permitted to travel abroad when they were 28, so as the Red Star team reached their more advanced years, they were snapped up by French clubs – Ognjen Petrovic (Bastia), Kiril Dojcinovski (Troyes), Slobodan Jankovic (Lens), Stanislav Karasi (Lille) or, like Vladislav Bogicevic (New York Cosmos), Petar Baralic (Tampa Bay Rowdies) and Vojin Lazarevic (Toronto), they went further afield to North America. Miljan Miljanić left Red Star in 1974 to take up a lucrative offer from Real Madrid. A few years earlier, he had received an offer of USD 50,000 from Brazil to prepare the great team of 1970 for the Mexico World Cup, but he elected to continue the work he had started at Red Star, where an academy had been established that yielded almost 150 players. At Real, he won La Liga in his first two seasons but after 1976-77 ended without silverware, he resigned. History will look at Red Star’s 1991 team as the pinnacle of the club’s history, but the line-up from the early to mid-1970s taught a wily and opinionated old Scot how to reshape his team for an assault on Europe’s top prize. They still talk about that night in Liverpool in November 1973 as a catalyst for a new era for English football. From 1977 to 1984, English teams won the European Cup seven times. Prior to 1977, it had happened once. Red Star Belgrade and Miljanić clearly taught us something. I enjoyed this – very interesting piece. All good except the claim that Yugoslavia was behind the Iron Curtain. This was not the case, Yugoslavia almost went to war with USSR as they tried to control our country after WWII. Great read, looking forward to new encounters between Crvena Zvezda and English clubs. Life-long, fanatical Red Star fan here. Thanks, have made a couple of adjustments. I was at Anfield for the Red Star match in 73 and I’ve never forgotten it!